Is it time for routine Volkswagen maintenance including an oil change, tire rotation or wheel alignment? Or, perhaps you’re looking for VW repairs such as Volkswagen brake service or post-collision auto body repairs. No matter what type of VW service your vehicle needs, our Volkswagen dealership in Tampa, FL, is up for the job. Our dedicated VW service techs know your vehicle inside and out, so you can trust them to complete every task correctly. From Volkswagen Jetta multi-point inspections to VW Tiguan fluid top-off service, there’s nothing too big or too small for the team at Brandon Volkswagen. Plus, we can complete VW part replacements if a component of your VW has experienced wear and tear. We also service vehicles of other makes if you don’t drive a VW but are searching for a Tampa auto repair center. Schedule Volkswagen service at our Tampa Bay service center and use our VW service specials and Volkswagen parts coupons today! 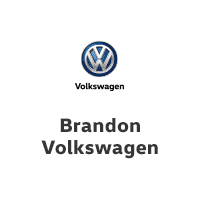 Brandon Volkswagen can serve Brandon and the entire Tampa area including Riverview, Bloomingdale, Gibsonton, Fish Hawk, Sun City Center, Ruskin, Lakeland, Sarasota, Wimauma, Plant City, Thonotosassa, Temple Terrace, Seffner, and Valrico. If you live in any one of those communities, then you need to drive on over to your friends at Brandon Volkswagen when you need Volkswagen service. Our friendly team of service technicians wants you to have the best service experience possible. Right from the start, we will listen to all of your needs, and make sure that we are giving you the exact service that you wanted. We will give you a service quote upfront, and if there are any issues or problems that arise, we will make you aware of them before we act. When you want great VW service, come to Brandon Volkswagen. We are your local family-owned VW dealership.